Once Thanksgiving comes and goes, the holiday season is in full force. The most popular annual holiday events from Thanksgiving to New Year’s are sure to become some of your favorite events to attend while on vacation in Siesta Key. You may have come on vacation for sun and sand, but the Christmas season is the perfect time to get involved with the local community on Siesta Key and in Sarasota. With so many things to do in the area, we’ve made the decision-making a little bit easier for you by highlighting some of the most popular (and longest running) holiday events of the season. Whether you’re looking for something family friendly or a night on the town with your significant other, Siesta Key has something for you. The floats are decorated and the lights are twinkling in this holiday parade, one of the must-do Siesta Key events of the season. The community pulls out all the stops for this Christmas parade that boasts floats from local businesses, community organizations, and schools in celebration of the holiday season. 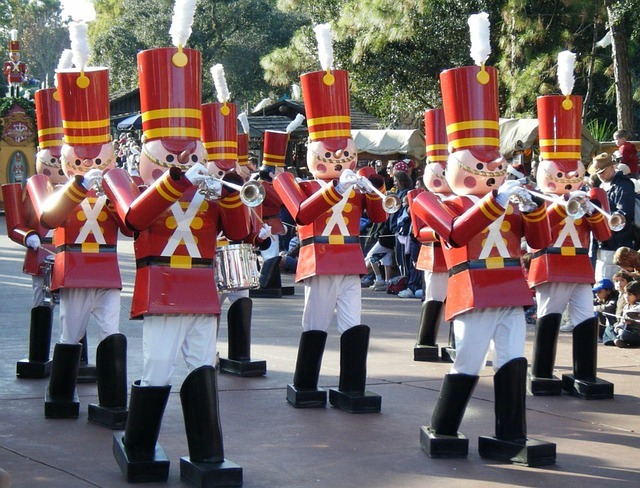 Live marching bands serenade the spectators that line the streets waiting for the guest of honor: Santa Claus. The parade starts at 7 p.m. and lasts about two hours. The Sarasota Holiday Parade is family friendly – a perfect way to kick off the Christmas season. While there are tons of holiday events on Siesta Key and in Sarasota, this parade should be at the top of your list of things to do. Let one of the oldest Christmas traditions fill your heart at the Christmas Concert and Community Carol Sing in Sarasota, one of the most popular Siesta Key events of the season. The First Church Singers and Patel Conservatory’s Vocal Arts Ensemble will begin with a rendition of Benjamin Britten’s A Ceremony of Carols, followed by a traditional Christmas carol sing. Hum the tunes of Christmas favorites like Away in a Manger and Silent Night with family and friends. Parking is available. This pub crawl is the perfect cure for the post-Christmas blues. Skip Boxing Day shopping, and grab some drinks instead. This less traditional event has become one of the top things to do on Siesta Key for adults around the holidays. Participants, known as “stumblers,” meet at 9 p.m. at Siesta Key Oyster Bar, then stumble from bar to bar, hitting local favorites like the Daiquiri Deck and Gilligan’s Island Bar. All participants have a chance to partake in the Santa Sack Race, which fortunately takes place earlier on in the evening, hoping to win the grand prize. But there’s a catch: all sack race participants must be dressed in a Santa costume. This elegant New Year’s party is the perfect holiday treat to the cap off a great vacation – and year. The party starts at 7:30 p.m. at the famous Marie Selby Botanical Gardens, a tropical, urban oasis on Sarasota Bay. Selby Botanical Gardens is transformed from an epiphyte research and conservation center to a sophisticated black-tie dinner for New Year’s Eve. The evening begins with a private tour of the holiday light display and hors-d’oeuvres. A four-course dinner at the renowned Michael’s on the Bay, Selby’s own fine dining restaurant, live music, and, of course, a champagne toast at midnight and fireworks over the bay round out the evening to ring in the New Year in style. Don’t miss some of these fun events during your next holiday Siesta Key vacation, and feel free to call us at (941)-349-7777 for information about other events, lodging, and vacation rentals!